Aleph Group Inc.: Think Be The Match is Not Right for You? A Story that will Change Your Mind. Think Be The Match is Not Right for You? A Story that will Change Your Mind. Imagine waking up one ordinary morning, about to go get a routine checkup and then your whole world is turned upside down with some stunning health news. At that moment the thought going through your mind is probably contemplating how can this be fixed? Thousands of people are diagnosed every year with life threatening blood cancers like leukemia and lymphoma. 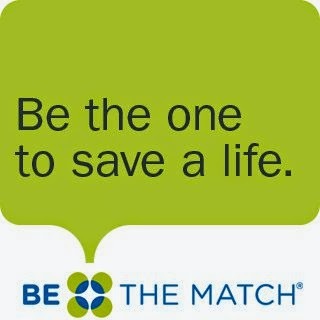 Operated by the National Marrow Donor Program, Be The Match, is the largest and most diverse registry in the world. Be The Match's motivation for doing what they do is revolved around, "Working every day to save lives through transplants." This is where the story of two women and their twenty year friendship begins. When Lisa joined Be The Match in 1990 there was only 20,000 people registered. She joined because someone she knew needed a transplant and wanted to be the one to help. Just after five months of being in the registry Lisa got a call that she could be a possible match for a lady named Pam. Lisa was very thrilled about being a match for Pam and all her family and friends supported her through the entire process. Lisa could not help but think that hopefully someone else would do this for her family if they needed a transplant. Lisa's donation experience was something that she had never thought was possible. "I would also tell anyone with the chance to donate to do it, there is no other reward like it." She went on to say that, even if she had never had the chance to meet Pam, the recipient of the transplant, knowing that she survived would have been enough. Aleph Group Inc. is tremendously inspired by this story and the friendship that grew from it. AGI looks to stories like this to inform our readers of the opportunities out there that can save someone's life. We would also like to make it aware that we design and manufacture Bloodmobiles and other specialty vehicles that have the capabilities of operating in many different conditions and situations like this. "At Aleph Group Inc. we have experienced the power of human potential and are committed to exploring the possibilities of growth with everyone who comes in contact with us." - Aleph Group Inc.